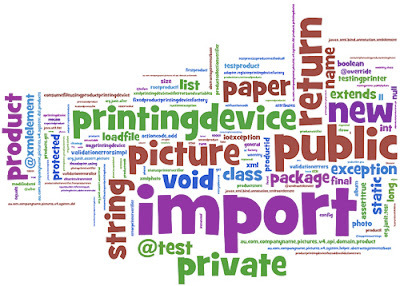 Here’s a neat way to look at code quality - use source code word cloud generators. A word cloud or tag cloud is a visual representation for text data. 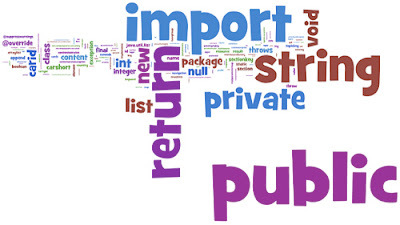 Tags or words are listed and the importance of each word is shown with different font size or color. When applied to well written and clean code, word clouds give us a quick way of understanding what the code is about. Clearly, looking at the second cloud, we know a lot more about the domain than the 1st cloud.